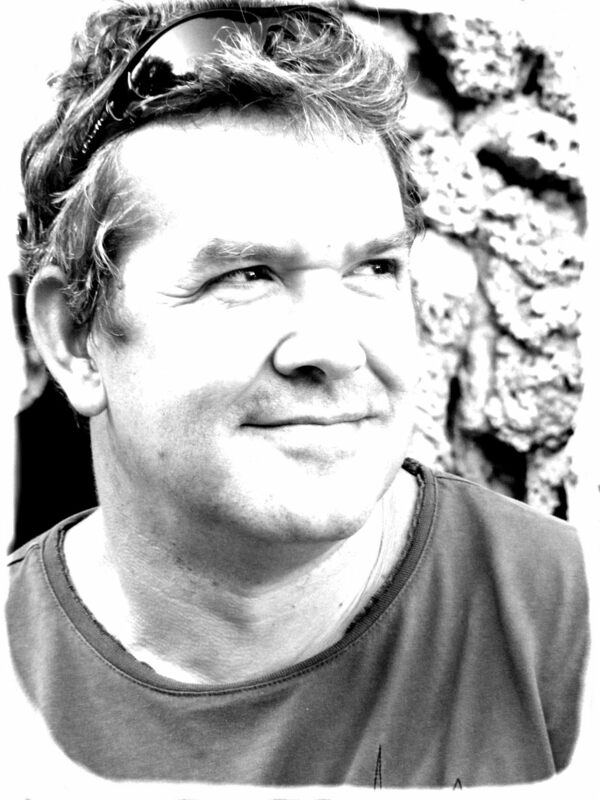 Neil is a playwright, screenwriter, poet, and theatre translator. Alongside his writing career he also works as strategy consultant, as an editorial consultant to business media; as an energy markets consultant; as a software designer, database architect, coder, and web-designer; and as an occasional presenter and voice-over artist. He is the co-writer of Unspeakably Wonderful, a film about the discovery of insulin, in development in 2019 with UK film company AngryMan Pictures. He is currently working as story consultant for Sweden's Mopar Media on a forthcoming TV thriller series, and writing a further series with the UK's Atlas Films. He is the co-founder of UK theatre company Hydrocracker, where he is both the principal writer and general manager of the business. The company has an outstanding reputation for innovation and the creation of first-rate theatre in unusual ways and spaces. Most recently, it has been receiving all-star reviews for its immersive theatre piece Operation Black Antler, a co-production with Blast Theory, about the ethics of undercover policing. The show debuted in 2016 at Brighton Festival, in Chatham in Kent, in 2017 Hydrocracker brought it to Manchester HOME, and it will make a third appearance hosted by London's SouthBank Centre in April 2019. In 2014 Neil won a Brighton Argus Angel award for Hydrocracker's Brighton Festival show Wild Justice - part of a project on revenge to include a full-length play, in development this year. The May 2014 event was a hybrid of theatre and public debate. Hydrocracker was The Guardian newspaper's "Pick of the Year" in 2007. He also has an active career as a translator of German and French theatre. He writes poetry, and in 2018 thirteen of his poems were published in leading UK poetry publisher Carcanet Press' "New Poetries VII" anthology. Neil was the 2005 winner of the Kent & Sussex International Poetry competition. He has also written children's fiction for story collections published both by Oxford University Press and Cambridge University Press. He is represented in the UK by Matthew Dench at agents Dench Arnold, and for theatre in Germany, Austria and German-speaking Switzerland by publishers Per H Lauke Verlag. From 1986 to 1997 Neil was a journalist, working as a general news reporter and war correspondent for United Press International in East Africa and Southern Africa, and then as a business journalist for S&P Global Platts in the Middle East and London. From 1997 to 2002 he was global editorial vice-president of Platts, before resigning his position to pursue a career as a writer. From 2002 to 2008 he served as part-time vice-president of strategy and business development for Platts. Since 2009 he has worked as an independent consultant alongside his writing work, serving clients who include the International Energy Agency in Paris, African oil consultancy CITAC, and RELX Group's ICIS energy and chemicals information business. He also spent one year as interim Head of Content for ICIS.